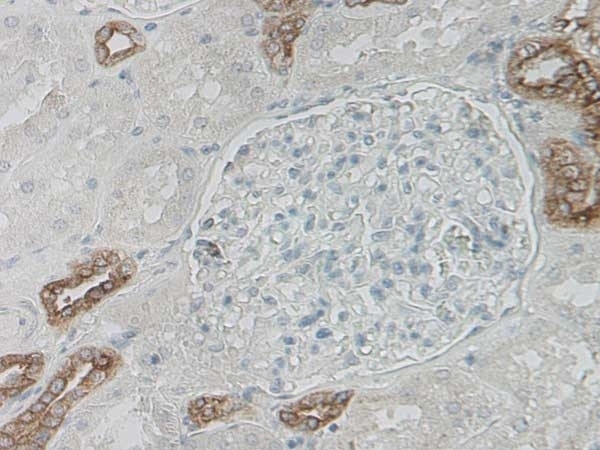 Rabbit anti Human defensinβ-1 polyclonal antibody recognizes human defensin beta 1 (BD-1), a secreted cationic antimicrobial peptide and member of the beta-defensin family, expressed at epithelial surfaces, which plays an important role in innate immunity. The activity of BD-1 is compromised in patients with Cystic Fibrosis due to salt-dependent inactivation (Goldman et al. 1997). Antiserum to human defensin beta 1 was raised by repeated immunisation of rabbits with highly purified antigen. Purified IgG was prepared by affinity chromatography. Kelly CJ et al. (2013) Fundamental role for HIF-1α in constitutive expression of human β defensin-1. 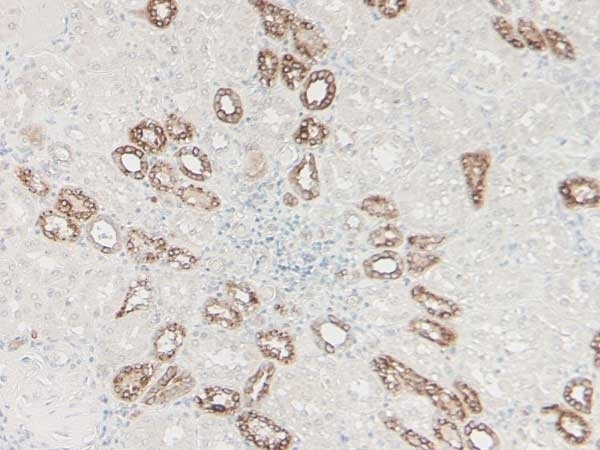 Mucosal Immunol. 6 (6): 1110-8. Goldman, M.J. et al. (1997) Human beta-defensin-1 is a salt-sensitive antibiotic in lung that is inactivated in cystic fibrosis.